The original Event was a day long educational show staged in StereoStereo, Glasgow. 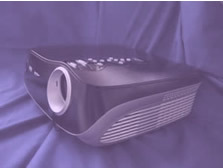 It was inspired by a comment on an on-line forum and developed in to one of the best home theatre video technology shows seen in UK. Educational lectures and demo's took place in relaxed, non sales environment carried out using equipment set up correctly by professionals. Everyone who attended loved it. It's taken two years but it's now happening again. This time in Guildford at two venues over two days (two single day shows). The idea is to show the differences in technologies and performance levels. We aim to try to de-mystify and educate while still being an enjoyable day out. We hope to be able to either give away on the day, or post afterwards a CD-Rom with presentations on all the rooms an technologies along with calibration reports for the equipment so that you can actually refer back to what you've seen. Some seats may still be available. To check availability, please email melanie@convergent-av.co.uk. Price is £35 per head. This charge is to cover estimated costs. Any funds left over will be donated to charity.